Italian attorneys for victims of car accidents in Italy. What to do after a car accident in Italy? Is the car accident a criminal or civil matter? Where can i find a good personal injury and car accident lawyer in Italy? Does the insurance pay all damages? May i have a compensation for my personal injuries? 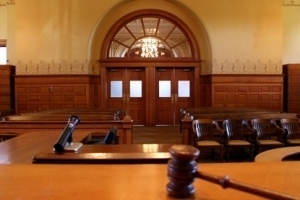 Is a trial necessary to obtain a fair compensation? How much cost a trial in Italy? How much cost the assistance of a lawyer in Italy? These queries are just an example of the questions that every day people from all over the world submit to us after a car accident in Italy. Italian Law on road accidents and personal injuries is very complicated. It changes every day and it depends by the circumstances of the case (for example, a fatal car accident is always a criminal issue that will be handled by the police and the criminal court, while the car accidents with not-lethal injuries are civil or criminal issues depending on the strategy of the lawyers). In Italy all vehicles, including motorcycles, must be insured by an insurance company authorized for the Italian market. That means the most of the damages have a fair compensation, but many times the insurance companies don't want to pay a correct compensation, so it necessary to bring them before a court. Only the Italian lawyers can represent the injured in the negotiation with the offender or its insurance. As well as, only the Italian lawyers can represent the injured in the trial. Lawyers from other countries, if not enrolled in the register of Italian lawyers, cannot represent the damaged in personal injury and car accident cases in Italy. For this reason, we suggest to contact directly an Italian lawyer based in Italy, without going through any other person or intermediary (who may ask you an additional commission or, even worse, prejudice your rights because his ignorance about the Italian law and procedure. Many times we are contacted by foreign clients to fix the damages created by incompetent people). Santaniello & Partners is a full-service law firm, based in Rome. We are authorized to practice law before all courts of Italy, so we can be where our clients need. If you need an experienced lawyer for personal injuries and road accidents in Italy, don't hesitate to contact us. Our consultancy is free (click here). Car accidents in Italy: the family of the victim is entitled to compensation.